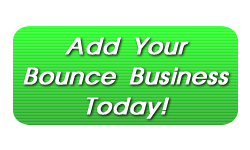 Seattle Bouncey Houses is the source for Bounce Houses and inflatable Moonwalks in the Seattle – Bellevue Washington areas. Our tremendous bouncey house catalog of rentals includes a number of themed moonbounce, jumping castles in all shapes, sizes, along with combo slide units for your party goers to enjoy. Call today and book your rental or visit our website for more information on prices and delivery.